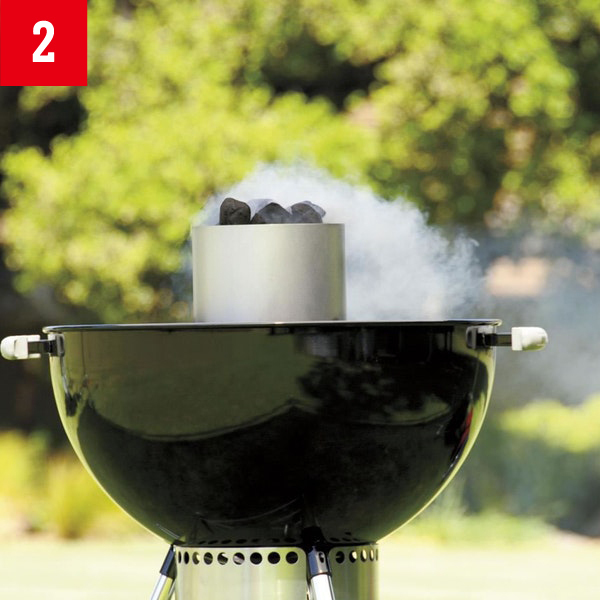 The easiest method for lighting any kind of charcoal is to use a chimney starter, which is an upright metal cylinder with a handle on the outside and a wire rack inside. 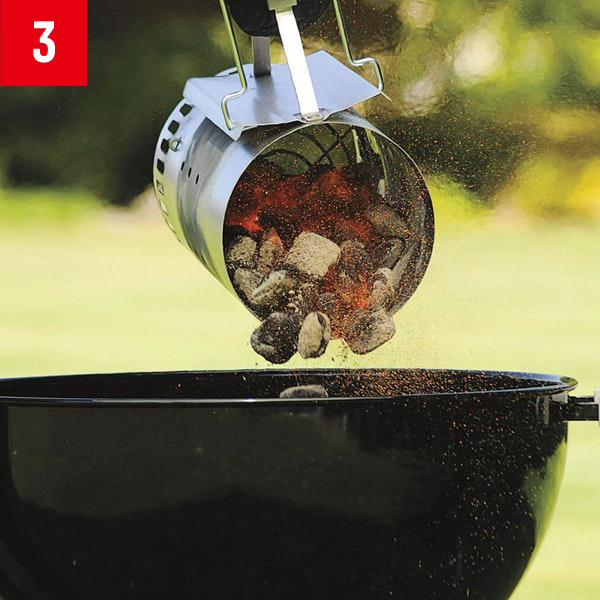 You simply fill the space under the wire rack with a few sheets of wadded-up newspaper or a few paraffin cubes, and then fill the space above the rack with briquettes. Once you light the newspaper, some impressive thermodynamics channel the heat evenly throughout the briquettes. 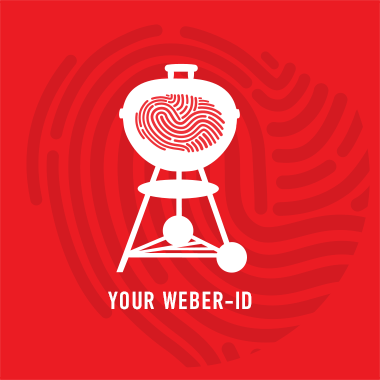 When the briquettes are lightly covered with white ash, put on two insulated barbecue mitts and grab hold of the two handles on the chimney starter. 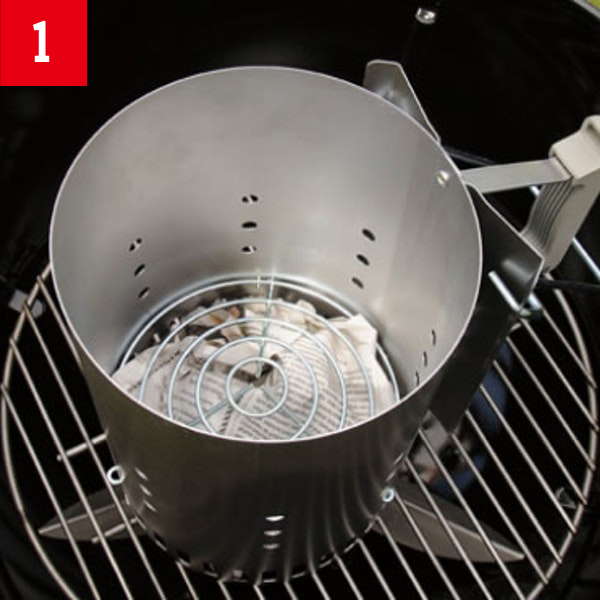 The swinging handle is there to help you lift the chimney starter and safely aim the coals just where you want them.